Leaders Archives - Africa M.E. 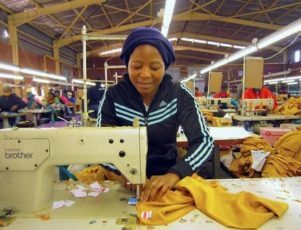 (Reuters) – South Africa’s business confidence rose in the first quarter by 11 points in a sign that the country’s economy is picking up pace, a survey showed on Wednesday. The Rand Merchant Bank (RMB) business confidence index compiled by the Bureau for Economic Research rose to 45 points in the first quarter from 34 points in the fourth quarter but remained below the 50-mark separating the net positive and negative territories. “First quarter confidence jump is driven more by the expectation that the recent (mainly) market-friendly political development will boost activity levels in future than an immediate improvement in the real economy,” chief economist at RMB Ettienne Le Roux said. 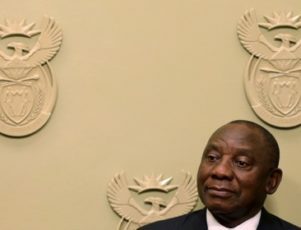 Business confidence was dented by policy uncertainty under the leadership of Jacob Zuma but economists say President Cyril Ramaphosa’s election as leader of the ruling African National Congress in December, and as president last month, has raised expectations that the country will make economic reforms. South Africa’s economy grew more than expected at the end of last year as agriculture and trade recovered, data showed last Tuesday, boosting its chances of avoiding a potentially debilitating credit ratings downgrade. Earlier in the month, The South African Chamber of Commerce and Industry’s (SACCI) monthly business confidence index (BCI) fell to 98.9 in February from 99.7 in January as exports, imports and retail sales fell. “It goes without saying that the current uncertainty around land reform needs to be resolved as quickly as possible. If allowed to linger, the latest rise in the RMB/BER BCI (Business Confidence Index) could easily fizzle out with little or even no enduring positive impact on business capital expenditure and the economy at large,” Le Roux added. LONDON (Reuters) – Oil giants Royal Dutch Shell and Eni have voluntarily filed to U.S. authorities internal probes into how they acquired a giant field in Nigeria as the companies seek to fight corruption allegations in Europe and Africa. The filings, to the U.S. Department of Justice (DOJ) and the Securities and Exchange Commission (SEC), do not mean U.S. authorities are investigating Shell or Eni. The move shows the companies are trying to preempt questions from the United States as they face one of the oil industry’s biggest-ever graft trials in Italy, to begin in May in Milan, a pending trial in Nigeria and an investigation in the Netherlands. The case revolves around the purchase of a huge block off oil-rich Nigeria, known as OPL 245, which holds an estimated 9 billion barrels in reserves. Italian prosecutors allege that bribes were paid in an effort to secure rights to the block in 2011. A number of top executives from both companies – including Eni Chief Executive Claudio Descalzi and former Shell Foundation Chairman Malcolm Brinded – will face trial. Under Italian law a company can be held responsible if it is deemed to have failed to prevent, or attempt to prevent, a crime by an employee that benefited the company. Both companies’ shares are traded on U.S. stock exchanges, putting their foreign dealings in the scope of U.S. authorities. Shell and Eni, on behalf of subsidiaries, in 2010 entered deferred prosecution agreements with the DOJ over separate Nigerian corruption allegations. Those pacts dismissed charges after a certain period in exchange for fines and an agreement to fulfil a number of requirements. They concluded in 2013 and 2012, respectively. “A company’s disclosure of alleged foreign corruption to both the SEC and the DOJ in the U.S. typically means the company believed U.S. authorities needed to be made aware of this, and both agencies have the authority to prosecute under the (Foreign Corrupt Practices Act, or FCPA),” said Pablo Quiñones, executive director of the New York University School of Law program on corporate compliance and enforcement. Quiñones previously worked as chief of strategy, policy and training at the DOJ’s criminal fraud section, a role that included helping to develop FCPA enforcement policy. The SEC and the DOJ declined to comment on the company disclosures or whether they were looking into any allegations surrounding the block. Eni noted its disclosure in an SEC filing, in which it said “no evidence of wrongdoing on Eni side were detected”. 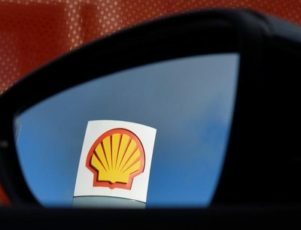 Shell has said publicly that it submitted the investigation to U.S. authorities and to Britain’s Serious Fraud Office. Shell and Eni deny any wrongdoing. They say their payments for the block, a total of $1.3 billion, were transparent, legal and went directly into an escrow account controlled by the Nigerian government. The companies and legal experts say the trial will last more than a year, with potential appeals stretching several years beyond that. The Milan prosecutor charges that roughly $1 billion of the payments were funnelled to a Nigerian company called Malabu Oil and Gas, which had a disputed claim on the block, and former oil minister Dan Etete, who British and U.S. courts have said controlled Malabu. Reuters has been unable to reach Etete or Malabu for comment. Shell has since said it knew some of the money would go to Malabu to settle its claim, though its own due diligence could not confirm who controlled the company. Eni said it never dealt with Etete or knew he controlled the company, but that the government promised to settle all other claims on the block as part of their deal. 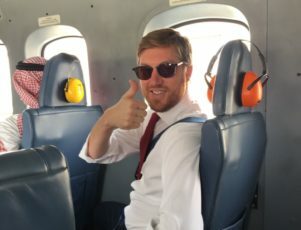 “If the evidence ultimately proves that improper payments were made by Malabu or others to then current government officials in exchange for improper conduct relating to the 2011 settlement of the long standing legal disputes, it is Shell’s position that none of those payments were made with its knowledge, authorisation or on its behalf,” Shell said in a statement. The proceedings have also brought together investigators in several countries, with authorities in Nigeria and the Netherlands sending information to Milan. A Dutch anti-fraud team in 2016 raided Shell offices as part of the investigation, and a Dutch law firm has asked prosecutors to consider launching a criminal case in the Netherlands. “I’m not aware of many cases where this many jurisdictions have been at work for so long helping each other out. The amount of cooperation is very unusual,” said Aaron Sayne of the Natural Resource Governance Institute, a non-profit group that advises countries on how to manage oil, gas and mineral resources. A case by Nigeria’s financial watchdog, the Economic and Financial Crimes Commission, against defendants including the former attorney general, ex-ministers of justice and oil and various senior managers, current and former, from Shell and Eni, will continue in June. There has also been at least one effort to take away the asset. Experts say it is worth billions, and Shell has spent millions developing it. Eni intends to make a final investment decision this year on developing the block and said in corporate filings that the asset has a book value of 1.2 billion euros ($1.5 billion). The Italian court does not have the ability to rescind rights to the block, and Nigerian oil minister Emmanuel Ibe Kachikwu has said the companies should continue to develop it. But in a lawsuit filed by the Nigerian government against JPMorgan in London for the U.S. bank’s role in transferring money from the deal, it called the agreement that facilitated Shell and Eni’s purchase “unlawful and void”. A JPMorgan spokeswoman previously said the firm “considers the allegations made in the claim to be unsubstantiated and without merit”. Additionally, a Nigerian court last year briefly ordered the seizure of the block. That decision was later overturned, and Shell and Eni say they are not worried about losing the asset. But the ruling and the language in the government’s suit against JPMorgan underscore the risk. “It’s a nice, stable asset that could produce a lot of oil for a long time,” Sayne said. (Reuters) – Barclays Africa Group, South Africa’s No.2 lender by market value, plans to extend its reach throughout the continent, it said on Thursday after posting annual profit up nearly 4 percent. “We would have to think carefully about how and when to enter the Nigerian market and that is what we are going to start doing,” he said. The bank had earlier reported normalised diluted headline earnings per share — the primary measure of profit in South Africa, stripping out one-off items — up 3.9 pct at 1,837.7 cents for the year to Dec. 31, helped by a 20 percent drop in credit impairments. Net interest income, a gauge of lending profitability, rose by 1 percent to 42.32 billion rand ($3.56 billion), while its net interest margin was unchanged at 4.95 percent. Growth in the United States was the positive surprise in the second half, even as Europe, Japan and China grew at or above consensus expectations, the bank said. This more than made up for slow economic expansion in its main markets, which account for about 80 percent of group income. 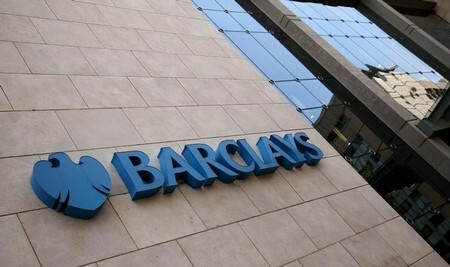 Barclays Africa and its rivals have struggled to increase lending as slowing economic growth in many African markets tempers demand from corporate clients while retail clients in its home South African market feel the squeeze from rising interest rates. However, confidence in its domestic market has been buoyed by the Cyril Ramaphosa’s elevation to the South African presidency last month, pledging to revitalise the economy. 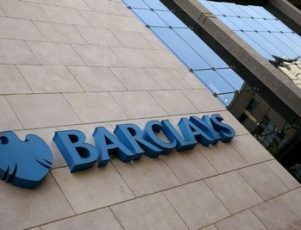 Barclays Africa said it expects growth in loans and deposits to improve in 2018 and forecast stronger loan growth from the rest of Africa. It also forecast stronger loan growth in corporate and investment banking in South Africa. Jonathan Gray is currently heading several businesses within various industries through ventures such as Beauchamp Estates France, JG Events and First Idea Ltd.
Jonathan Gray’s business life started early in 1997 at the age of 16 after a chance encounter with a Buena Vista International executive during the Cannes Film festival. A few years on he would create several companies within various industries. Most notably in his early career stands JG events, a successful international event company specialising in luxury private and corporate events in the South of France. A few years later, in 2004, he participated to the launch of the exclusive global concierge company Quintessentially, which he spearheaded from 2005 and sold in 2009. Simultaneously, he launched his own estate agency in 2005 and then closed a business opportunity in 2007 with powerhouse London broker Beauchamp Estates, a main player in the premium property market focusing on a select range of exclusive quality properties. Together they launched the exclusive French branch of Beauchamp Estates in Cannes. Within six years, Beauchamp Estates France multiplied its turnover fivefold. With his track record and after having developed a strong and influent network of ultra high net worth individuals, Jonathan Gray decided to transition towards more personal passions such as strategic and investment consultancy. Thus was born the strategic consulting firm First Idea Ltd. First Idea was the opportunity for Jonathan to develop the concept he had in mind. First Idea selects investment opportunities aligned with the principles of the positive economy by focusing efforts in identifying corporate or institutional entities willing to address societal and economic change. Far from being a run of the mill investment boutique, First Idea strives to be both a laboratory of positive ideas for clients and an aggregator of talents, aiming to design new levers of economic, social, societal and cultural developments and respond to the challenges of tomorrow’s world through creative, innovative and bespoke solutions. More concretely, First Idea is a firm specialized in the Middle East region. It assists its clients in reshaping the economy for a post-oil order through the deployment and implementation of hallmark Vision 2030 programs developed in most Gulf countries. Within this frame, First Idea raises awareness about the giant and numerous investment opportunities such national plans offer to worldwide business leaders & companies, with a special focus on French business circles. First idea’s efforts focus on positive sectors. Indeed, Jonathan Gray is an idea man, devising solutions (ideas, innovation or policies) to positively impact the Gulf’s economy and society as a whole by creating sustainable foundations for flourishing and innovative ecosystems. Therefore, First Idea aims at facilitating Vision 2030’s successes, at helping answer Middle East’s most critical challenges, with a strong focus on Food security & safety (Agritech), Water security (Watertech), Green construction, Carbon sinks, Carbon valuation, EcoTourism. Announced in April by UN Secretary General, Antonio Guterres, Dr. Vera Songwe has become the first woman ever to head the United Nations Economic Commission for Africa (UNECA). Headquartered in Addis Ababa, Ethiopia, UNECA is one of the UN’s five regional commissions, and was established in 1958 to encourage economic cooperation among the nations of the African continent. A prestigious position by itself, Songwe has also acquired the rank of Deputy Secretary General of the United Nations. Beating more than 70 candidates for the role, Songwe, aged 48, takes over the reins of the organization at a critical time, following the departure of Dr. Carlos Lopes of Guinea-Bissau, who stepped down from the organization in September, last year. Labelled as one of 25 African’s ‘to follow,’ by the Financial Times in 2015, the UN reported that her longstanding track record of policy advice and results orientated implementation in the region, as well as, her demonstrated strong and clear strategic vision for the continent, is what lead to the decision. Before her appointment, Songwe was serving as the International Finance Corporation’s Regional Director, covering West and Central Africa. Between 2012 and 2015 she was the World Bank’s Country Director for Senegal, Cape Verde, Gambia, Guinea-Bissau and Mauritania. Before that, she held the post of Advisor to the Managing Director of the World Bank for Africa, Europe and Central Asia, and South Asia. She is also currently a non-resident Senior Fellow at the Brookings Institution’s Global Development African Growth Initiative, since 2011. Starting her professional journey as a Young Professional at the World Bank in 1998, Songwe worked in the Middle East and North Africa region covering Morocco and Tunisia in the Poverty Reduction and Economic Management unit (PREM). Later she joined the East Asia and Pacific region PREM unit where she held several roles, such as, Regional PRSP Coordinator, Country Sector Coordinator and Senior Economist for the Philippines. She has also worked in Mongolia and Cambodia for the World Bank. Born in 1968, Songwe earned a PhD in Mathematical Economics at the Center for Operations Research and Econometrics, as well as a Master of Arts in Law and Economics, and a Diploma of Profound Studies in Economic Sciences and Politics, from the Catholic University of Louvain-la-Neuve, in Belgium. She also has a Bachelor of Arts in Economics and Political Science from the University of Michigan in the United States. Songwe has also published several papers on governance, fiscal policy, agriculture and commodity price volatility, and trade and new financial infrastructure. With the departure of the charismatic, and sometimes combative, Carlos Lopes, Songwe arrives in an institution where her predecessor has left a large imprint. Joining the organization in 2012, Lopes has been credited with reshaping UNECA and raising it out of obscurity on the continent. According to The East African news outlet, Lopes championed the need for improved data and statistics for informed decision making. He was the first to call for debt cancellation for the Ebola-effected countries in Africa, and led a team to demonstrate the economic impact projections on Africa were highly exaggerated and part of a negative narrative. During his resignation, Lopes was also praised by colleagues for taking the relationship between the organization, its partners and member states, to a higher level, for beautifying the UNECA compound, leading UNECA to host big conferences impacting on Africa’s development and empowering employees and ensuring gender parity in the organization. However, Songwe is not without her own talents and tenacity. 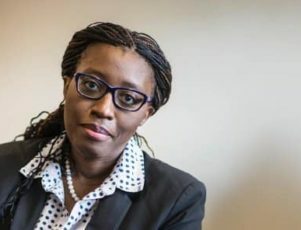 With some 20 years at the World Bank, Songwe’s new duties of advising African governments on their development projects will be well within her grasp. Described by her colleagues as a hardworking and competent leader, she is on the selection committee for the Tony Elumelu Foundation, an annual program of training, funding and mentoring for the next generation of African entrepreneurs and the influential African Leadership Network. According to RFI, as the new Executive Secretary for UNECA, Songwe will give priority to innovative financing, agriculture, energy, and economic governance. With a net worth of $500 million, a trip to space, three successful businesses and a not-for-profit under his belt, it is not surprising that South Africa’s Mark Shuttleworth is an inspiration to many in a country still emerging from apartheid, and still plagued by rampant poverty and corruption. Shuttleworth’s success story stared in 1995, whilst still a student at the University of Cape Town, Shuttleworth created Thawte, a consulting firm that became a world provider of digital certification, a trusted third party that could be used to create secure connections to a server via the internet. According to AFKInsider, it was the first ever full-security encrypted ecommerce web server commercially available outside of the United States. Shuttleworth sold the firm in 1999 to US based company VeriSign, who at that point owned 50 percent of the market, the other 50 percent belonging to Thawte. VeriSign bought the company for $575 million when Shuttleworth was only 26 years old. With the profits from the sale of Thawte, Shuttleworth could easily have retired. Instead he used his capital to help other South African’s find their potential. In the year 2000, Shuttleworth created HBD Venture Capital, a company which invests in local South African businesses with international potential and in 2001, The Shuttleworth Foundation, a non-for-profit that aims to improve access to, and quality of, South African education. Shuttleworth was still looking for new challenges, however, and began to embark on the long journey that would lead him to being a space tourist. 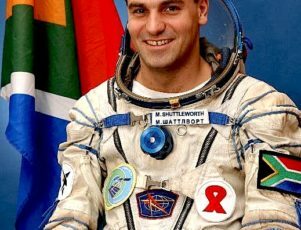 In 2002 Shuttleworth became the first African ever to travel to space and the second private citizen ever to self-fund a trip to space. At a personal cost of $20 million, Shuttleworth bought a seat on a Russian spacecraft and began training. He trained for nearly a year, seven months of which were spent at Russia’s Star City, at the Yuri A Gagarin State Scientific Research and Testing Cosmonaut Training Center. He became part of the Russian Soyuz TM-34 crew and visited the International Space Station (ISS). Shuttleworth spent eight days aboard the ISS where he conducted scientific experiments for South Africa. He returned to Earth on May 5th, 2002, but his incredible feats don’t stop there. After returning from space, Shuttleworth founded yet another company, the Ubuntu project, a computer operating system that would be completely free. Based on a version of the Linux computer operating system that is open source, Ubuntu, roughly translates to ‘human-ness’ in the South African Nguni Bantu language. It also means ‘I am what I am because of who we all are,’ which works with Shuttleworth’s idea that the software could be edited and improved upon and shared for free. Without heavy licensing fees, Ubuntu could reach a wider audience and be shared by people who could not afford other operating systems. However not every move Shuttleworth has made has been supported by the people of South Africa. In 2009 Shuttleworth decided to leave his home in South Africa and move to the Isle of Man. In doing so, he also decided to move approximately $177 million in capital from South Africa with him. The South African Reserve Bank, however, charged him a $17.7 million exit fee that would need to be paid in order to release the businessman’s assets. He paid the exit charge, but then sought to recoup the levy. Shuttleworth argued the government’s position around foreign exchange controls constrained small business and sought to have the exit fee returned, with interest. According to ITWeb, the legal battle was taken to the Supreme Court, which initially Shuttleworth won and the Reserve Bank was ordered to repay the levy amount with interest. However, the Constitutional Court, the highest in South Africa, overturned the Supreme Court as they found the exit charge was in place to regulate conduct, not to raise revenue and the ruling was overturned. The Reserve Bank did not have to repay Shuttleworth the exit charge with interest and he was repaid nothing. Although the move out of South Africa may have soured his relationship with his country a little, Shuttleworth continues to be an inspiration for young South African entrepreneurs. He now has dual citizenship with the UK and South Africa and continues to run Ubuntu and Canonical. Never resting for long, it will be with great interest to see what the future holds for Africa’s first dot com millionaire. When Forbes magazine lists you as one of the 30 most promising young entrepreneurs in Africa then you must be doing something right. 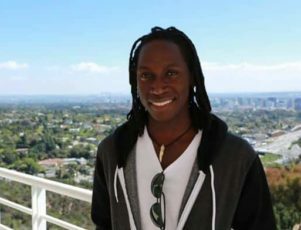 In the case of Andrew Mupuya, he was named one of Forbes’ “30 under 30” in both 2013 and 2016. The list highlights entrepreneurs under the age of 30 who are on the way to achieving great things within their chosen industries. Remarkably, Mupuya has been in business for 8 years, and yet is still only 24 years old! Andrew Mupuya was born, in the Manafwa district of eastern Uganda, to a large, extended family with very little income. Mupuya’s family struggled to buy clothes for him and his siblings, and he was only able to get an early education due to the help of government grants. Such a background does not provide the greatest opportunity for entering the business world, but the struggles that Mupuya experienced helped foster a work ethic and determination that has held him in good stead. In 2008, everything changed, and it was a combination of bad luck in his family and new government legislation that paved the way for Mupuya’s business. Both of Mupuya’s parents lost their jobs, making their financial situation precarious once more, and at only 16, Andrew realized that he needed to help ease their burden. At the same time, the Ugandan government banned the use of plastic bags due to environmental damage that they were causing, and within this moment the young entrepreneur saw an opening. Mupuya worked out that he needed around $14 to start a small enterprise, producing paper bags, so he collected 70 kilos of plastic bottles which he sold to a recycling plant for $11, and he then borrowed the remaining $3 from his school teacher. His company was named, YELI (Youth Entrepreneurial Link Investments) Paper Bags, and it has gone from strength to strength. Not only was the company successful in a short period of time, but it was the first registered company in Uganda for the production of paper bags. By 2012, and still only 21 years old, Mupuya had been put forward for the prestigious Anzisha prize for young entrepreneurs in Africa. Against stiff competition, Mupuya won the award, and with it, $30,000 that he immediately put into developing the company. Although he is still only 24, Mupuya has twice made Forbes magazine’s list of 30 African entrepreneurs below the age of 30 to watch out for. YELI paper bags currently produces around 20,000 paper bags per week, and employs 16 people in Uganda. 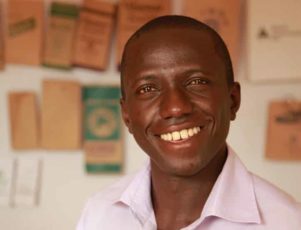 Since he began his business, Mupuya has overseen production that exceeds 5.6 million bags, which have been sold both locally, to neighboring nations like Kenya, and as far afield as the U.S and Norway. What should please Ugandans is that not only does this young man want to create more opportunities within his home country, but he is looking to do so with a company that can benefit the whole continent. It seems that these days Africa is bursting at the seams with young innovators. 26-year- old Ugandan Isaac Oboth is a fantastic example of one such individual. The young man is the founder and CEO of Media 256 Ltd, one of East Africa’s fastest emerging film and television production companies. Oboth has scooped coveted awards and been recognized as one of Africa’s hottest emerging entrepreneurs. It is peculiar that many highly successful individuals have often suffered tragedy during their childhoods. Perhaps by enduring such hardships they develop uncommon tenacity and fortitude. In Oboths case, by the time he was seven years old, both of his parents had passed away. The young orphan was taken into care by his older brother Ivan, who worked hard to provide for him. When Isaac was 16 and still attending school, his brother lost his job. Isaac said “It was a pivotal point for me, Ivan was my sole provider,&quot; Ivan could no longer afford to send Isaac to school, and asked his younger brother to start earning money. However, Isaac wasn’t going to let his education slip away easily. In his first foray into entrepreneurialism, he started making rock cakes, a fruity snack which he sold to finance his schooling. Isaac quickly devised other methods of making money. He sold photo DVD albums as well as and drinks at rugby games. The seeds of his current business were born because of his high school prom. He wanted a way to commemorate the special event, so he decided to produce an alumni album. However, cost was a major concern, as printing costs were astronomically expensive so Isaac decided to produce a digital album which was much more affordable. At the time, Isaac didn’t have the skills to produce the album by himself, so he hired a contractor to film photograph and edit. Isaac was disappointed with the final product. He felt the editing was shoddy and that the photography was second rate. Despite the lack of quality, the album was popular and sold out. He realized that if poor quality media products still sold, that top quality work would be highly sought after. That’s when he resolved to go into the multimedia business. He spent countless hours learning about filming and editing by watching videos at a local internet café. He rented equipment, and after tirelessly promoting his material and searching for work, he managed to land a contract to produce a short film for the Ethiopian Commodities Exchange. The film was a success, and Isaac earned enough money to buy his own equipment. His business then grew in leaps and bounds. He offered his services for free to Coca Cola who were so impressed with his work that they signed him up for future productions. Isaac has since gone on to produce great work for the likes of the African Leadership Academy, USAID, the UNDP and the Mara Foundation. One of the companies most recognized project’s is a ten part series called Discover Uganda which aired in multiple African countries before its success saw it picked up by The Africa Channel, a US cable outlet. Today, Media 256 is a profitable fully fledged business. The team currently consists of 7 full-time videographers and editors as well as support staff, and Isaac intends to keep on growing. Forbes magazine has recognized Isaac’s significant achievements, listing him as one of Africa’s 30 most promising young entrepreneurs. He was also the recipient of the much coveted Anzisha Prize, which also awards the best young talent on the continent. Stephen Saad was announced as the latest winner of the Entrepreneur of the Year Award at the annual All Africa Business Leaders Awards ceremony, which was held this year in Johannesburg. Saad’s success within the pharmaceutical industry is long-standing, but the massive growth he has achieved with his company, Aspen, in the past year saw his success recognized by one of Africa’s most prestigious business awards. Saad turned 52 this year, and the Durban born businessman could have been content with a highly successful career well before he made the moves that established him as one of Africa’s top 20 richest people. After graduating from the University of Natal with a BA in Commerce, Saad began working within pharmaceuticals for Quickmed. Quickmed stand out within South Africa’s recent history for being a company that offered prescription medicines within black townships during the nation’s appalling apartheid regime. Saad quickly moved upward, and by the age of 29 he had sold a share in another company, Covan Zurich, for $3 million making of him a millionaire. 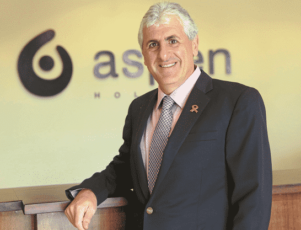 However despite this success nothing has dampened his enthusiasm for innovation within the industry, and in 1997 Saad set up his company Aspen Pharmacare (changed to Aspen in 1999) with co-founder Gus Attridge. Despite the huge success that Saad and Aspen have achieved within their market, predictions for the future suggest that even more growth is likely. Over the past 3 years, Aspen has established extensive distribution and technolgy networks within Europe, and forged numerous new partnerships, which Saad has said would support a company “twice the size we are now”. This year alone, Aspen has purchased the $341 million GlaxoSmithKline anesthetics portfolio and AstraZeneca’s, $770 million, anesthetics range too. These acquisitions will expand Aspen’s share of the anesthetic’s market outside of the US to 20%, and analysts predict that Aspen’s earnings will grow by 121% for the next 2 years. Stephen Saad was clearly proud of his Entrepreneur of the Year Award, but it evidently won’t see him resting on his laurels.